The traditional Portuguese sash, fringed at one end. Colour black. 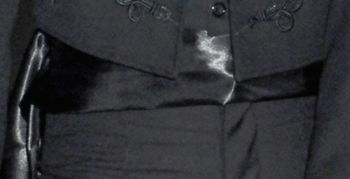 The sash (faja) is optional wear for men and is usually worn to cover the lower part of the waistcoat and tied to the left. It is compulsory for women wearing correct traditional riding apparel to wear the sash (faja).